Jagdamba Motors, the sole authorised distributor of TVS Motor Company in Nepal, has introduced the ‘Saat Chha Hamro’ offer for its customers on the auspicious occasion of Nepali New Year 2076. 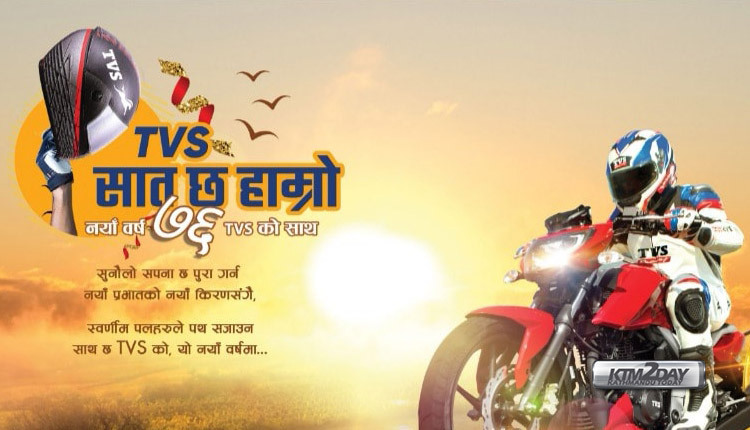 Through this offer, TVS expresses its best wishes as well as encourages customers to enjoy the new beginning of 2076 with TVS, the company said in a statement. Comprising of a hassle-free direct cash discount of Rs 7,000, TVS began this new year scheme on Monday and it will last till May 14. The scheme will be valid on the purchase of any TVS motorcycle or scooter.